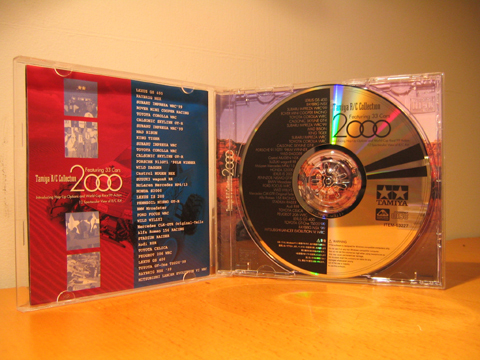 Cool, I was going through some boxes of hobby stuff setting up my new workspace and found this CD, I forgot I had it. Do you think it is worth anything as a collectors item? It has videos, views and hop up part listings for 33 cars of the time, plus footage from the Tamiya World Cup 1999, It was fun to watch again. I was thinking of posting the videos on YouTube, there is no copyright info or markings on the CD so I think that would be ok. I may even be able to host an ISO image of the CD somewhere if someone would like a copy. What do you think? maybe you could make a torrent file off it ? with a couple of members hosting it, it's distribution could go fast. I would be interested in a copy too my friend. When I get home tonight I will look into what is involved in creating a torrent, I am not sure about how the trackers work, otherwise I might be able to find an FTP server to use. The best part about this DVD is seeing that Marc driver running in Mini class. I've got one of those cd's too!! Even though it's probably illegal to copy it!! 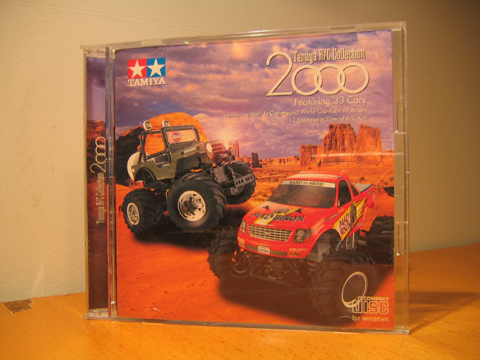 I got the 2000 R/C Collection and 2001 Catalogue CD ROM free at the TCS, I raced both years.. I watch the 2000 periodically to this day . It is funny seeing a very young Marc Rheinhard running a mini Cooper, the F1 races, and Surikarn (Mod) run in the 1999 TCS finals..
Any chance of anyone putting these cds on the torrents . I would love to see them. Thanks high flyer. You could always make a few copies and sell them to us. Sorry, I had a busy weekend, I will setup a torrent and post it here tomorrow morning, I just have to set aside a PC to leave running so you can all get it. OK, I am pretty sure I have the torrent working now, give it a try and let me know if it doesn't work. I will seed it from work for a few weeks, if you guys do the same we should get enough copies out there to make it pretty fast. One thing I did notice, after a windows media update the other day on one of my computers the built in viewer for the CD content has an error but you can still watch all the videos by opening the files in the root directory of the CD. Oddly enough the CD still works fine on my other computers, I have no idea why, good luck! I have put in in the download, when completed will do the same. Quite a quick upload you have i might add ! downloading right now, and seeding too. I am downloading the file now thanks chaps. Am happy to transfer it to my desktop PC and seed it via BitComet but I have no idea how to do this. I am fine seeding stuff that's been downloaded to my PC (BitComet does this automatically for me) but no idea how to seed this file once I transfer it to the desktop PC. Suggestions...? you can also read it using poweriso. AAARGH! All these crazy words mean nothing to me! PLEASE can someone post an Idiot (me) "how to" guide? !